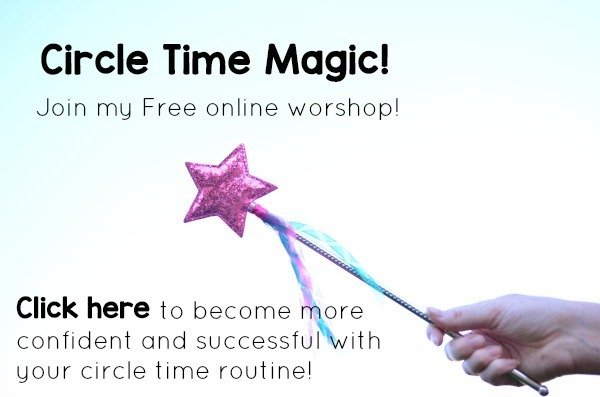 I am always on the hunt for amazing circle time books! There’s something about an incredible read-aloud that makes circle time so much more magical! Reading should be fun and exciting and with all of the wonderful books available, there is no reason to settle for less. 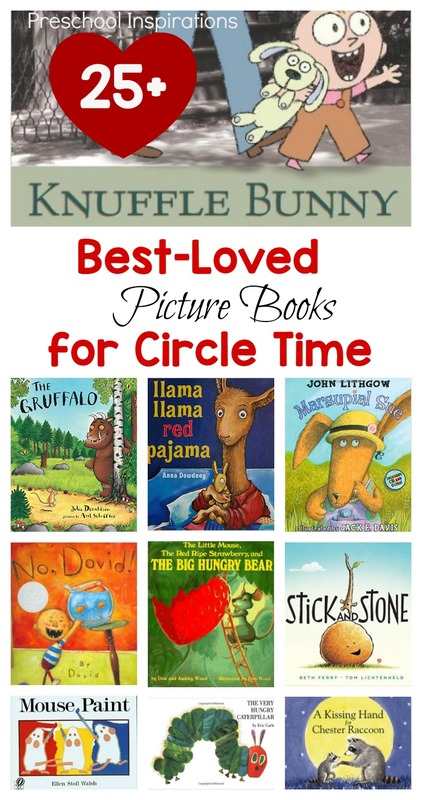 Here are some of the most popular and best-loved books that I have read for circle time and even in my own home while tucking my children in at night. These are all of my books that I want as a hardcover because we read them over and over again, and they just last so much longer that way! Just click on the book cover to see more about each book! This a story that enchants all ages…and even parents and teachers! It is definitely one of the best circle time books around! It leaves you on the edge of your seat the whole time as you wait to see if the bear finds the strawberry! I kept hearing about The Gruffalo, and when I read it, I finally understood why everyone loves it. In fact, we originally borrowed it from the library, but then we had to go get our own copy too :). It is so witty and adorable. I can’t help it, but I have to read it with a British accent! This is a classic! In fact, it was made in the 1930s and instantly became an instant best seller. It’s pretty easy to fall in love with this story! Ferdinand is different from all of the other bulls, and the other characters of the story just can’t understand him. He shows us how we all are unique and don’t have to be just like everyone else! After getting lots of reader suggestions on this one, I went ahead and grabbed the book! This has become a new all-time favorite. The story of the Pout Pout Fish as he goes from being pouty to finding out that there is something else he can do with that frown is absolutely beautiful! I now consider this book a must-have! Maya was Grumpy is always a favorite. We all have moments when we are grumpy, and this story leaves children full of laughs and enjoyment! We all have grumpy days, don’t we!? 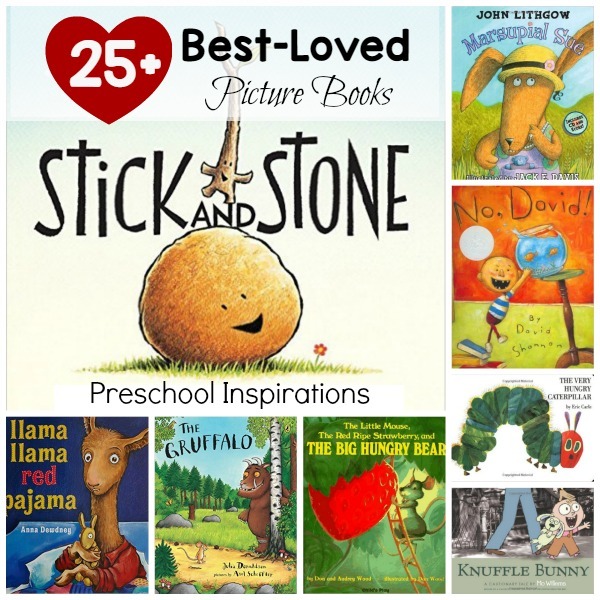 Musical books are perfect for circle time, and Marsupial Sue is definitely a class favorite! The book with CD is a must! This is definitely a song you the children will ask to listen to over and over again. Tikki Tikki Tembo is a title I remember my kindergarten teacher reading. On a whim I borrowed it from the library for my class, and it turns out that they loved it too! The Pigeon books are so funny! They don’t have a lot of words, and the illustrations are perfect for young children. If you are looking for a light-hearted and silly book, this one is fantastic! There is a Bird on Your Head sounds simple, but it is wonderful! If you have not heard of the Elephant and Piggie books, they are so fun! Especially if you do the voices. And these books make doing voices a cinch, even if you find that awkward or intimidating. I asked one of my students, an expert on the Elephant and Piggie books, which book was her favorite. She said this one, and I have to agree that it is extra wonderful! This is my last Mo Willems recommendation, but it is still exceptional. The little girl in the story loses her special bunny but her daddy cannot figure out what she’s trying to tell him. The children love the suspense that builds up as she tries to get her bunny back, and I think they can relate to her. Especially the times when adults just don’t get it! I’m sure you’ve all heard of this title, and I just had to include it because no amazing children’s book list is complete without it! I heart Eric Carle! I adore this Eric Carle book. We get to learn about the seahorse and all of the other amazing daddies of the ocean, and the illustrations are stunning! I bet I’m not the only one who remembers this from childhood. This is one of two books that I remember from kindergarten! Brown Bear has captivated audiences for decades, and it will always be a best-loved book! If you don’t own a copy, I would suggest grabbing one! I love using this picture book for circle time! I think that Max helps empower children to understand their feelings and emotions, especially if they have a fear of monsters. I love the story The Kissing Hand, but it is definitely too long for young children. This is the abbreviated version, so you don’t have to paraphrase any longer! I was hesitant about this book once upon a time. David gets into a lot of trouble. He hears “no” quite a bit. Should children hear about David? Yes, they should! They empathize with him and fall in love with him. It’s even fun to change his name to the name of your child or students! Pete the Cat has the best attitude! Even when his buttons fall off. I love the catchy tune and Eric Litwin does a fantastic job with this story. This is a fantastic social/emotional title! Stick and stone absolutely captivates young children and helps teach them about friendship and overcoming obstacles. I get asked to read this over and over again. All throughout the house, everyone is sleeping until…well, I can’t give it away. This book is filled with wonderful literacy elements, including repetition. It keeps us all on the edge of our seats too. And children love books about sleeping (even the children who never want to sleep). This book is so simple yet so engaging! It’s silly, it’s adorable, and it’s suspenseful! All of my children have loved listening to these books before bedtime, and my students have loved it during circle time. This story is so fun to read! Mrs. Millie is a teacher who is incredibly entertaining with fun riddles she gives the children. Each page leaves everyone in anticipation of what clever thing she’ll say next! This books uses spilt milk…and turns it into something fun and exciting! Children (as well as adults) have lots of experience with spills, and I love how this book puts a positive spin on it. This is a book that my Facebook readers said they loved! And apparently, I am out of the loop because it is a five-star bestseller on Amazon that I have only just heard of. It’s great to find a new awesome book! I can’t wait to add it to my stash of favorite circle time books. I love all of the Llama Llama books, and red pajama is super sweet! It talks about emotions and feelings that our little ones are experiencing and how to work through them. It’s definitely a great one to add for social/emotional understanding. As I was writing this post, I heard the very sad news that the author, Anna Dewdney, passed away. I love that her final wish was that people would read a book to a child. This book is hysterical and so fun to engage with children. You can see a sneak peek reading of it here, with BJ Novak reading it: . Owl Babies is on my list because a lot of my readers said they love it! We can’t wait to read it soon. Some of my favorite books have turned out to be suggestions by all of you! “Why should they put you in the zoo? Sometimes we feel that we just don’t fit in or we are told “no” for no good reason. I love how this book tackles these issues, and it is always a crowd pleaser that my students and my own children beg to read over and over again. This Dr. Seuss book is always amusing! It teaches counting and I often hear giggling while reading it. It’s so fun to see the silly things that are happening as the characters count and balance their apples. Caps for Sale is a classic, and its simplicity is charming. Children love hearing, “Caps for sale” all throughout the book and watching the mischievous monkeys! Before you know it, the children will have the book memorized and they’ll be working on counting at the same time! This beloved book is now available as a board book! Children and adults both fall in love with the story chant, and it’s one of my favorite ways to introduce children to the alphabet! This book is a must-have! This book is SO entertaining! It’s perfect to read on Talk Like a Pirate Day or for a pirate theme…or just for fun! It is a little bit long, but if you have a great pirate voice, you’ll keep everyone’s attention! Whenever I am teaching about color mixing, I love to add this book to the mix! It is a book that you just can’t go wrong with, and how fun to see the mice creating new colors! What books are on your list as must-haves? I’d love to hear…and I just might add your suggestion too! My preschool students can’t get enough of “Bark, George” by Jules Feifer. Pout Pout Fish is another favorite. We have many of these books, and cannot wait to read the others. I keep hearing about that one!! We can’t wait to read it. Thanks for the suggestion :).